The war hero, General Isam Zakhreddin, who became famous for his successful actions on the side of Bashar al-Assad defending Deir ez-Zor and other cities, recently died in Syria. 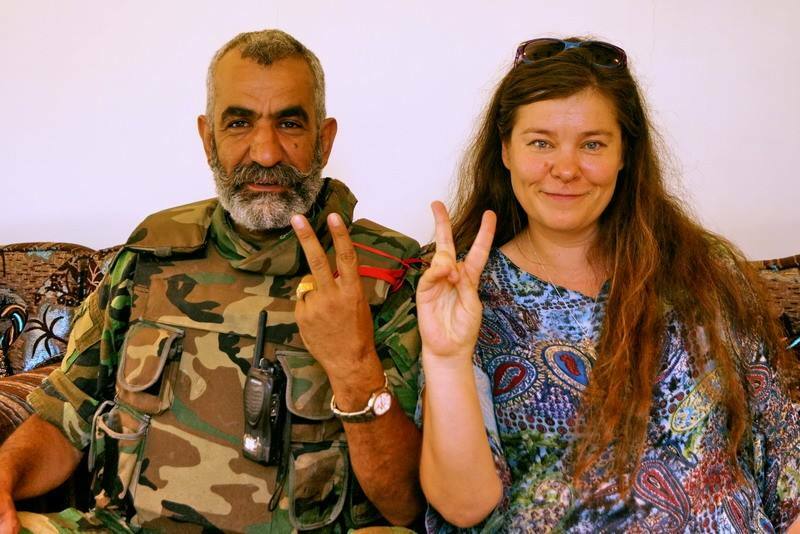 Columnist of Realnoe Vremya Anhar Kochneva, who was personally acquainted with the brigade commander, in the newspaper column written for our newspaper recalls ''the Druze lion'' with sorrow. On 18 October, I was piled with lots of emails and messages with questions about whether it was my friend who became a hero of newscast. Unfortunately, my friends were right: it was about him — Syrian Brigadier General Issam Zahr ed-Din. The legendary military officer, who stood with his men against the hordes of ISIS (the organization banned in Russia — editor's note) in the airport of Deir ez-Zor (the siege of the airport lasted for about three years), who conducted many successful combat operations, was killed in the attack. Isam, a Druze by creed, originated from the province of As-Suwayda. Lush mustache, which the Druze like ''to wear'', cheerful disposition and easy-going personality were remembered by all who had a chance to chat with this creative brigadier general. The courage and unconventional thinking helped him to win where others could not. For the first time the inhabitants heard about him after the expulsion of militants from the infamous district of the city of Homs, Baba Amr. 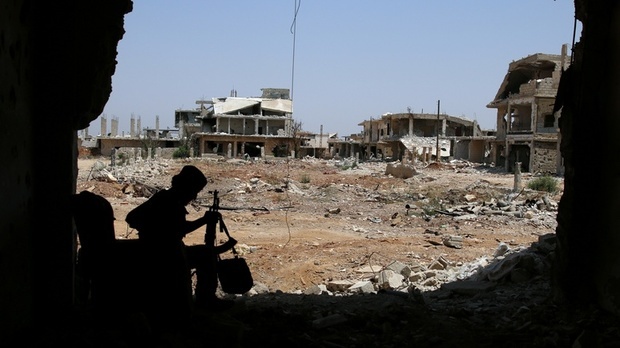 The bandits who captured a quite large area in the result of fightings were forced to abandon their positions in February 2012 and relocate to the territory between the southern border of the city and the border of Syria with Lebanon in the area of al-Qusayr. Then I was five months in captivity in this group and saw what reaction my photo with Isam that they found on the Internet caused among them. In the summer of 2012, in Damascus during several days there was active shooting: there was an attempt to capture the capital district Midan, the rebellion had the loud name either ''Capital volcano'' or ''Volcano in Damascus'' (well, Westerners like to come up with catchy names for their operations and those of their charges!). To suppress this ''volcano'' and return civilians and civilian life in the area became possible after five days: two days were given for the civilians to leave and the fightings took another three. I was in the area immediately after the insurgents abandoned it. A small group of journalists were driven through the district on a small police armored car — there was a danger of sniper fire. We took photos of the weapons that were taken away, a pile of documents, lists of gang members and the abandoned during the retreat bodies. Some of them were set on fire: they said that it was the way they treated foreigners fighting in Syria. No body — no evidence of foreign presence. In this area terror attacks still take place periodically (last one was 10 days ago), a police station under the bridge with people was blown up. Or they blow things up next to this busy area. However, the operation conducted by Isam and his people helped to return sufficiently stable peace in this seemingly sentenced to chaos district. History is a complicated thing. Sometimes it expands into a completely different direction, it would seem quite minor events. Like, for example, the death of the former Mamluk Alfie Bey before the decisive battle with Muhammad Ali ''resolved'' the dispute about whose Egypt is — French or British, transference in the area of Deir ez-Zor sahr Isam al-Din instead of the killed Jamaa Jamaa, perhaps, changed for the worse the development of the events in Aleppo. He probably could do much more. But it happened exactly as happened. 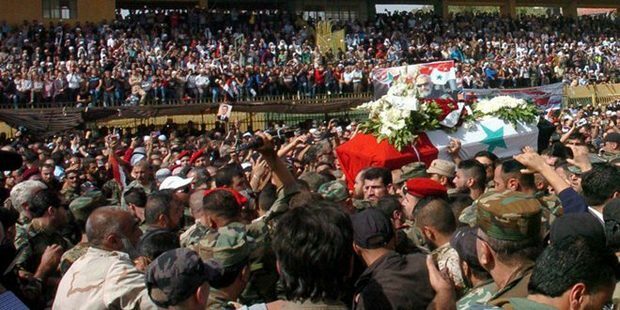 I am not going to say exactly who will miss him more: his relatives (including son who fought next to him), his soldiers, whom his courage and sense of humor did not allow to surrender, we — reporters, for whom he was, without doubt a truly iconic figure, or the whole Syria, where the situation is still far from complete victory. He was 61 years old.